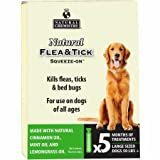 The Best Flea Bomb - Which One's Actually Get Rid of Fleas? Fleas are one of the least welcome visitors you can have in your home! Fleas can infest your furniture, your carpets, and even your pets. But it’s not just your dog or cat that could be risking a painful flea bite; fleas feed on mammalian blood. That means you and your family are at risk of being bitten too! On a serious note, fleas can carry disease in the blood they ingest from their host. That means that if you’re bitten, you could be infected too. One very effective way of getting rid of a flea infestation in your home is to use a flea bomb or fogger. But with lots of different products on the market, how do you know which one to choose? In this guide, we’ll give you a helpful overview of the very best flea bombs that you can use to rid your home of fleas for good! Flea bombs and flea foggers are essentially the same things, and the term is used interchangeably. Flea foggers are small aerosol canisters that contain insecticide. The chemicals typically used in flea foggers are Cypermethrin, Methoprene, Nylar, Permethrin, and Tetramethrin. Flea foggers are only suitable for use in buildings. Never use a flea fogger to kill fleas on pets! It’s critical to make the right choice when it comes to selecting the best flea bombs or foggers to use in your home. You don’t want to have to keep treating and re-treating your house, especially if you have kids or pets. We’ve taken the sting out of researching flea foggers for you! Here, in no particular order are six of the most effective flea foggers that the current market has to offer. Hot Shot’s fogger is one of the highest-rated on the market. The product is a dual-purpose fogger that is formulated to dispatch bedbugs as well as fleas. When using this fogger, it’s not necessary to remove or cover things such as couch cushions and bedding. Most users choose to take their soft furnishings out while the treatment is working, but it’s not essential. As well as the usual packs of three bombs, you can buy a case of six. That will usually work out cheaper and eliminates multiple trips to the store if it turns out that you need more than one standard pack to treat your whole house. One fogger only covers 2,000 feet. That means you could need a lot more than the six cans provided in the multi-pack, making this quite an expensive option. Some users have reported finding defective cans in the pack. While returning the product may be throw a wrench in your plan, you will receive a replacement set of cans free of charge if there is a problem. This fogger comes in sets of two or three. It’s a basic, easy-to-use product that comes with full instructions, so you don’t need special training or skills to get the job done. This product comes in packs of three, making the overall price point pretty reasonable and the product very cost-effective. It’s imperative that you take steps to get rid of the fleas as soon as you realize you have an infestation, so an effective product is essential. The TAT fogger is exceptionally effective and works well the first time around on minor infestations. That means you shouldn’t need to repeat the treatment. Using the fogger can be a real hassle. You, your family, and your pets will need to abandon your home for at least six hours once the fogger has been used. You’ll need to unplug every appliance in your home when you use this fogger. That means removing everything from your fridge or freezer and finding an alternative way of keeping your food cool to preserve it until you can go back into your home. If you have a pervasive flea problem, you might need to repeat treatment with this product. That means more expense and a whole lot more hassle. Zodiac is perhaps better-known for their pet flea treatments and insecticide sprays. Even though this not one of the better-known flea fogger products on the market, it does have a pretty decent reputation. The price point for this product is in the mid-range for three bombs per box. Although you’ll most likely need two boxes to fog your whole home, this will still work out cheaper than hiring a professional. With this product, you don’t need to empty your whole home before you carry out the treatment. That makes fogging your home a relatively hassle-free procedure. You, your family, and your pets will need to be out of your home for at least eight hours, preferably overnight. That could mean extra costs for a hotel room and kennels unless you have relatives or friends you could stay with. Some reviewers have not found the product strong enough to kill a moderate flea infestation the first time around. It does appear that the Zodiac does kill-off anything still moving on the second or third treatment, but that could be too much of a hassle for many people. This fogger is a multi-purpose insecticide that works on ticks, fleas, and bedbugs. Hartz a perhaps better-known as manufacturers of pet anti-flea sprays and treatments. The product is designed to kill fleas at all stages of their lifecycle, including eggs and larvae, as well as adults. That means that there will be no live eggs to hatch out in the weeks following the treatment, removing the risk of a secondary infestation and protecting your home for up to seven months. The consensus about this product is that you need to carry out two treatments for full effect. Be sure to remove any electrical devices from your home before setting off the bombs; the product can cause damage to electronic equipment. Kills adult fleas and ticks plus breaks the flea life cycle! The Vet-Kem fogger is formulated to kill adult fleas, stops eggs from hatching, and kill larvae before they develop into adults, preventing reinfestations. Unlike other foggers, this one leaves no sticky residue behind. That means you can leave your soft furnishings in place while you treat your home, saving you the time and hassle of moving or covering everything. Each can of fogger treats 3,000 cubic feet of space. Each package comes with three cans, so two packs should be more than enough to treat an average-size family home. That makes the treatment much more cost-effective than using a professional firm. In the case of severe infestations, you’ll probably need to treat your home twice to get rid of all the fleas. Some users have experienced issues with faulty cans where the aerosol doesn’t work. There’s a “no returns” policy on this product, although any decent store will change it for you if you’re unlucky and end up with a defective can. 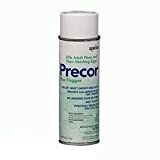 The Precor Plus Fogger is one of the top sellers on Amazon. 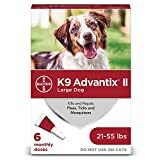 These vet-recommended bombs come in standard packs of three and generally receive good reviews. This powerful and effective fogger contains the insecticide Permethrin, which immediately kills adult fleas. Another chemical that the product contains renders any remaining fleas infertile, preventing them from breeding and triggering another infestation. You don’t have to clear out your home during treatment. Also, the fogger is designed to penetrate deep down into upholstery fibers, pet beds, cracks in the floor, and carpets- all the places fleas love to hide! Some users reported that the product didn’t work at all. However, that’s possibly because you need to vacuum a few times following the initial treatment. Vacuuming exposes newly hatched fleas to the chemical contained in the fogger, quickly killing them and preventing a re-infestation. So, not only do you have the hassle of vacating your house for eight hours while the chemical disperses, but you also need to keep vacuuming every day for weeks afterward. Whichever product you choose, you should be aware that not every flea bombing treatment will be fully effective the first time around, especially if your infestation is very severe or longstanding. How do fleas get into your home? Fleas can’t fly, so they move from host to host by jumping. These tiny pests thrive in a warm environment, which is why they are most active during the summer months. However, a cozy, centrally heated home will do just as well during the fall and winter months! Even if you are fastidious about the cleanliness of your home, you could still suffer a flea infestation. So, how do these nasty little critters get into your house? The most common means of transport for fleas are your pets. But it’s not all Fido’s fault. Fleas can also hitch a ride on your clothes or your visitors’ shoes. If you keep a few chickens in your backyard, they can carry fleas too. And be very vigilant when buying secondhand furniture; that comfy couch you found on eBay could turn out to be a flea metropolis! When fleas find a host, they begin feeding on the unfortunate creature’s blood. The parasites lay huge numbers of eggs deep down in the host’s fur. Adult fleas usually remain with their food source, but most of the eggs and larvae drop off, disappearing into bedding, upholstery, baseboards, and carpeting. Once the eggs hatch out, and the larvae grow into adults; they wait for a passing warm-blooded creature, jump on board and start feeding, continuing the life cycle and kicking off another infestation. So, how do you know you have an infestation of fleas and not flies? There are several species of flea that commonly find their way into people’s homes. Bird fleas (Ceratophyllus gallinae) are usually found on chickens or feral pigeons. Watch out – if you have a few hens in your backyard, they may be giving you more than a few eggs a day! Adult bird fleas are between 1 and 8mm long. They are brownish with prominent mouth parts that project downwards from the flea’s head. Cat fleas are the most common species of flea that can infest your home. They are brown, measuring about 3mm in length with characteristically flattened bodies and long legs that enable them to jump. Dog fleas aren’t choosy; they can also feed on the blood of cats and humans. Dog fleas also carry tapeworm eggs, which can also affect humans. These are house guests that should definitely be shown the door PDQ! Adult dog fleas are brownish-black in color unless they have just fed in which case they turn reddish-black. These nasty home invaders are 1 to 4mm long. Fleas cannot fly. They make their way from their hiding places onto their next host by jumping. Therefore, if the insects you’ve noticed in your home can fly, they are most likely flies or gnats. If you have pets, check their fur carefully for signs of flea activity. Fleas extract your pet’s blood by biting. The saliva contained in the bite can cause itching, unpleasant skin reactions, and hair loss in animals that are especially sensitive. Take a good look at your pet’s bedding, your rugs, and your carpets for signs of flea dirt (feces). Sometimes, using a piece of sticky tape and applying it to an area of carpet can lift off tiny black specks that resemble ground black pepper. That’s flea dirt! Another sure indicator that you have fleas in your home is flea bites. Bites typically appear on your ankles and feet and are characterized by red welts on the skin, which can sometimes be surrounded by a small rash. These bites are usually extremely itchy. The key to successfully rid your home of fleas is to ACT FAST! Severe infestations can be very difficult to eradicate; it’s always best to treat your home as soon as you realize there’s a problem before things get out of hand. Vacuum your home thoroughly, including your curtains, carpets, furniture, and hardwood floors where gaps between the floorboards could harbor fleas. Vacuum your pets’ sleeping area, including bedding. Foggers are usually highly flammable! Electrical appliances, lights, and gas ignition systems must be turned off and covered up. Fish and birds are highly sensitive to the poisons contained in flea foggers. Before you start treating your home, remove fish to a temporary home and relocate birds as far away from the treatment area as possible. Also, you’ll need to thoroughly clean the fish tank if it’s to remain inside while the fogger is operating. Alternatively, cover the tank with plastic garbage bags and seal them against the glass with tape to prevent the fogger from reaching the water. Cover your floors with old newspaper. Close all the windows tightly. Arrange somewhere for you and your pets to stay for at least eight hours while the fogger does its work. Vacuum your home again, right before you begin treatment. Vacuuming will disturb any fleas that may be lurking in your carpets, making them more active and more susceptible to the fogger’s effects. Cover your face with a mask, and shake the fogger canister vigorously. Be sure to keep your face away from the canister when deploying it. Flea bombs typically spray the gas upwards, and severe damage can occur if the fogger hits you square in the face. Place a fogger in the center of each room on a sheet of newspaper, so you can quickly deploy the fogger. You should aim to treat each room, and then exit the house as rapidly as possible. Push the release valve on the fogger to open the canister. Be sure to push the valve down hard until it clicks. That will ensure the canister remains open during the fogging process. Begin at the farthest end of the room, spreading the chemical in one long spray and step backward towards the door. Keep your distance from the cloud of spray you’ve created. As soon as the canister is empty, make a hasty exit and shut the door tightly behind you. When you return to your newly flea-free home eight hours later, open all the windows. If you have fans, switch them on to get rid of any residual fumes. Clear away any newspapers and empty product canisters from the floor. You’ll need to clean your home after treatment thoroughly. That’s because every surface will be covered with a thin layer of toxic chemicals. Open the windows to help disperse any lingering chemical smell. Vacuum your carpets, curtains, and upholstery two days following fogging. That will allow the chemicals to work on any flea eggs or larvae that are still alive deep down in the carpet fibers. Having carried out a fogging treatment on your home, it makes sense to de-flea your pets before returning them to the household. The most effective treatment for flea infestation in pets is to use a “spot-on,” veterinary-approved product. Spot-on flea treatments work by preventing the flea eggs from hatching, thus breaking the life cycle and allowing the existing fleas to die-out quickly. You’ll need to repeat this treatment every couple of months, depending on the product you use. Bayer Advantix is a very well-known brand of highly-effective canine flea treatment. Natural Chemistry makes a flea-killing spot-on that uses natural ingredients, rather than chemical poisons. Bayer Advantix also makes an extremely effective flea treatment for use on cats. 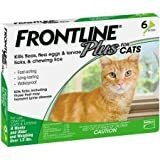 Frontline is another big name in animal medication. Their cat flea treatment product is long-lasting and highly-effective in killing adult fleas, larvae, and eggs. Never use a dog flea treatment on your cat or vice versa! The chemical structure and strength of the product is different and could harm your pet. 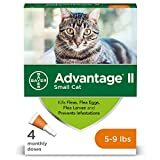 So, what are the best flea bomb brands? When you’re looking for an effective, reliable flea bomb/fogger, you should focus on these three top brands. Raid is a world-renowned maker of insecticides and includes a powerful flea fogger in its product range. Raid flea bombs are free-from environment-damaging CFCs, which puts them close to the top of our list. Their flea foggers are highly-effective and kill fleas very quickly, preventing the risk of reinfestation. Because of this, the product is effective for up to four months, making it a brilliant long-term solution, so long as you keep your pets free from fleas. Hot Shot’s flea bombs kill lice, bedbugs, and ticks, as well as fleas, so you get lots of protection for your money! Their foggers also cover a bigger area than other brands, making them excellent value for money. Although many other products also contain IGR, Zodiac’s flea fogger is exceptionally efficient at destroying larvae and eggs, preventing them from growing into adult fleas. The product also kills ticks. Another big plus for this fogger is that it doesn’t leave a nasty smell, so you and your family can return home without having to endure an unpleasant odor for days following treatment. Zodiac also makes highly-effective, veterinary-recommended flea treatments for dogs and cats. Here are some of the most frequently asked questions about flea foggers. If you can’t find the answer to your question here, shoot us an email, and we’ll do our best to give you the information you’re looking for. Q: Are flea foggers safe? A: Flea foggers contain chemicals that are designed to poison and kill fleas. These chemicals are also very harmful to pets, fish, plants, and potentially to people too. When handling flea bombs and when cleaning up after treatment, always wear protective gloves and a face mask. Also, always wait at least eight hours before returning to your home after fogging so that the chemicals have a chance to disperse. Q: What do you do if flea bombs don’t work? A: Flea bombs are often accused of not working because they were not given a chance to! For full effect, do not vacuum your home for at least two days following treatment. This delay allows the chemicals contained in the fogger a chance to penetrate deep into nooks, crannies, and carpet fibers where adult fleas, eggs, and larvae may be sheltering. If you have a severe flea infestation, more than one flea bomb treatment may be necessary to get rid of the pests. Two treatments should do the job, but if you’re still finding fleas in your home, you should ask a professional pest control company for advice. Q: How long to flea foggers last? A: Flea fogger treatments typically last for up to four months. However, if you have pets, you must use a veterinary flea treatment regularly to ensure that your furry friends don’t bring more fleas back into your home! If you have feral pigeons nesting around your property, you should take steps to have them removed, as the birds could be the source of your flea problem. Q: Can you stay in your home during flea fogging treatment? Flea bombs contain a cocktail of highly-toxic chemicals that are designed to kill fleas and other bugs. You and your pets must vacate your home for at least eight hours following treatment. Q: Should you wash your bedding after flea bombing? A: Yes, you should wash your bedding on a hot wash to get rid of any chemical residue that might be left, and to also dispose of any dead fleas, eggs, and larvae. So, flea foggers can be a highly effective way of ridding your home of fleas. However, you must read the product instructions very carefully before you begin treatment. Our favorite flea fogger has to be the Hot Shot. This fogger is a best-seller! The product represents excellent value for money, it’s very potent, and it also kills bedbugs and ticks. It’s also important to be aware that even the best flea fogger won’t be completely effective unless you keep fleas off your pets and out of your home. Fleas are much easier to eradicate when their numbers are low, so it’s best to treat the infestation as soon as you discover it before the insects’ reproduction cycle gains momentum.